What can lost property teach us about relationships? Parashat Ki Tetze contains seventy-two different mitzvot, the largest number in any Torah portion. From the outset, it seems to be just a condensed list of random instructions. However, the format of this portion encourages us to take a wider view so as not to miss the forest for the trees. After looking through the entirety of the mitzvot listed in the parasha, we find a common thread – the relationship between our physical possessions and our human relationships. An “active concern” includes doing everything possible to locate the owner of the lost property. The finder must not only care for the property, but may not profit from it. And if it was invested, the finder must also return all the earnings. 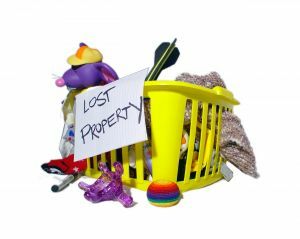 The Ramban (Rabbi Moshe ben Nachman) makes it clear that the mitzva of returning lost property supersedes any inconvenience to the finder. Yeshua further clarified the importance of our relationships, and that nothing is greater than our relationship with G-d, and with each other. May we, with G-d’s help, demonstrate love and concern for those around us, seeing within our fellow human beings a reflection of the Divine Image. I'm a Rabbi, writer, thinker, mountain biker, father and husband ... not necessarily in that order. According to my wife, however, I'm just a big nerd. I have degrees in dead languages and ancient stuff. I have studied in various Jewish institutions, including an Orthodox yeshiva in Europe. I get in trouble for making friends with perfect strangers, and for standing on chairs to sing during Shabbos dinner. In addition to being the Senior Rabbi of Beth Emunah Messianic Synagogue in Agoura Hills, CA, I write regularly for several publications and speak widely in congregations and conferences. My wife is a Southern-fried Jewish Beltway bandit and a smokin' hot human rights attorney... and please don’t take offense if I dump Tabasco sauce on your cooking. This entry was posted in Uncategorized and tagged Pieces of Parasha, relationships, torah. Bookmark the permalink. Yinon, taken from Psalm 72:17, means "to increase," "to endure," or "continue." Yinon is also an ancient reference to the Messiah. We are inspired by a vision of Jewish life that is progressive, egalitarian, and engaging ... rooted in the enduring legacy of Mashiach. We seek to cultivate in our fellow Jews greater levels of faith, hope, and involvement with the world. We seek to inspire our sisters and brothers to prepare the world for the coming of Mashiach. We are far from having a patent on the process, and welcome you to join us on our journey.